Craig A Murray Dog Training are able to offer you a service that will give you an ability to have your canine companion trained by one of our Professional Trainer’s whilst you take a holiday. Maybe you are a busy person whom can’t spare the time to attend group obedience classes or you feel that the best situation for your circumstances is to have your dog enrolled in a private and individual training program that will ensure you get the most potential out of your dog. Crate training – we teach your dog to happily and safely travel in a crate for use in the motor vehicle. Great for road trips! 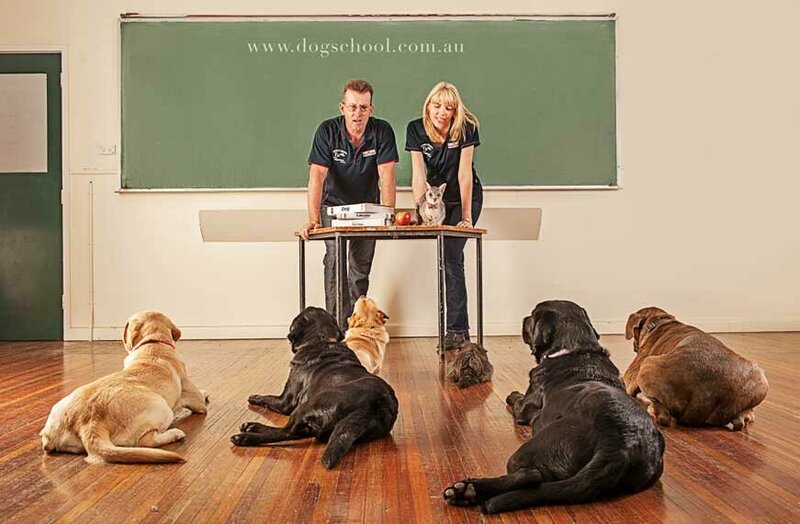 Mat training – we teach the dog calming exercises with the use of a mat. The dog learns to stay within the boundary of the mat whilst there is high stimulation and distraction in the environment. This teaches the dog self control much like having a child learn martial arts for self control and calming techniques. Part of this package requires you upon pickup of your canine companion, that you go through a handler orientation training session so you are aware of what your dog is capable of and how to maintain the dog at the level the dog has been trained at. Whilst your dog is highly trained, once you take it home the responsibility of maintenance and consistency of this training becomes your responsibility and a trained dog is like any other skill, it must be maintained to remain reliable. We teach you how to manage this with a minimum of effort, but effort is definately required. We ask that when you arrive at Paws and Whiskers Boarding Kennel, you authorise us to take your dog out into the environment for day trips to ensure that your dog works in various environments and with differing levels of distraction and stimulation. It also gives your dog some environmental enrichment. For more details, please feel free to call us on 0400 741 660 or send an enquiry through the contact us page on our website. Please feel free to ask the friendly staff at Paws and Whiskers on dates and they will check with Craig A Murray Dog Training for availability of this service. In-kennel training is very popular and we only train a couple of dogs at a time to ensure they all get the individual attention that they need and deserve for successful learning outcomes.